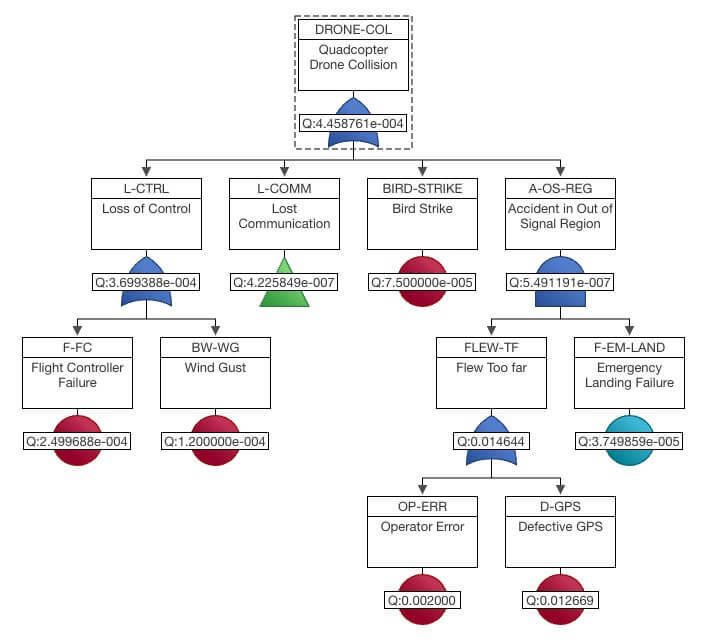 Providing comprehensive risk analysis using established fault tree analysis techniques. Relyence Fault Tree provides a powerful platform for constructing fault tree diagrams, modeling input events, and performing a variety of calculations to assess the likelihood of undesired events and the combinations of contributing factors that would cause those undesired events. Relyence Fault Tree provides the capabilities you need for comprehensive risk assessment using fault tree techniques. Relyence Fault Tree provides a friendly interface for creating and organizing fault tree models of any size. 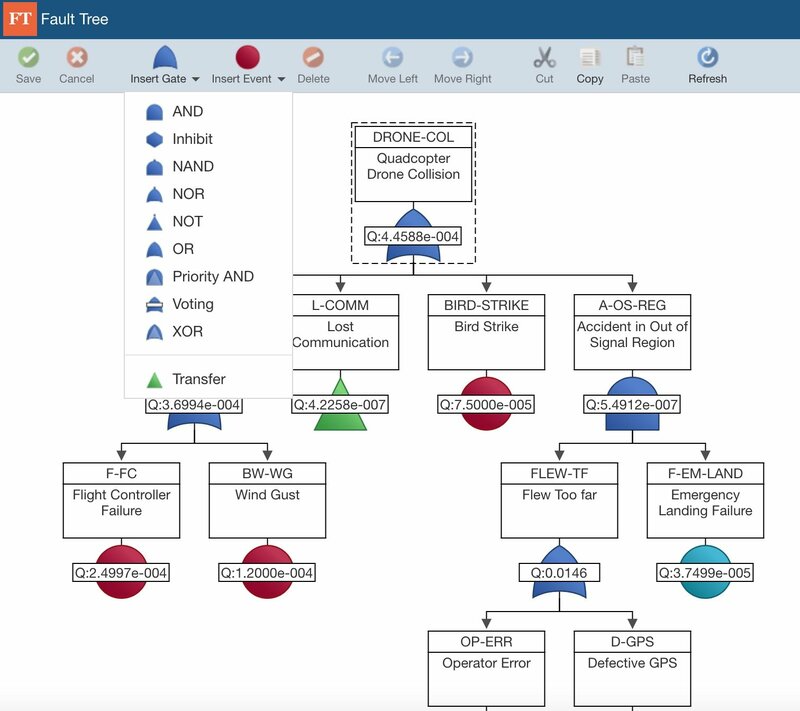 Coupled with impressive diagramming capabilities, the Relyence Fault Tree high-powered calculation engine supports a broad range of computation methods and the calculation of a variety of risk and safety metrics. You can select to calculate a number of critical risk measures including minimal cut sets (MCS), unavailability, failure frequency, conditional failure intensity, and number of failures. You can choose from a list of supported calculation methods including exact, simulation, cut set summation, cross product, and Esary Proschan. For simulation analyses, you can specify the number of simulation iterations to control the simulation engine. For cut set analyses, you can set cutoff values to optimize calculations. You can also include importance measures computations if you desire. Comprehensive and powerful computations and include cut sets and importance measures computations. For complete fault tree analysis, Relyence Fault Tree supports a wide set of logic gates, events, and event models. At the heart of fault tree analysis is the set of logic gates and events used in diagram creation. Relyence Fault Tree supports a comprehensive set of logic gates. Gates types include AND, Inhibit, NAND, NOR, NOT, OR, Priority AND, Voting, XOR, and Transfer. Event types include Basic, House, Undeveloped, and Repeat. 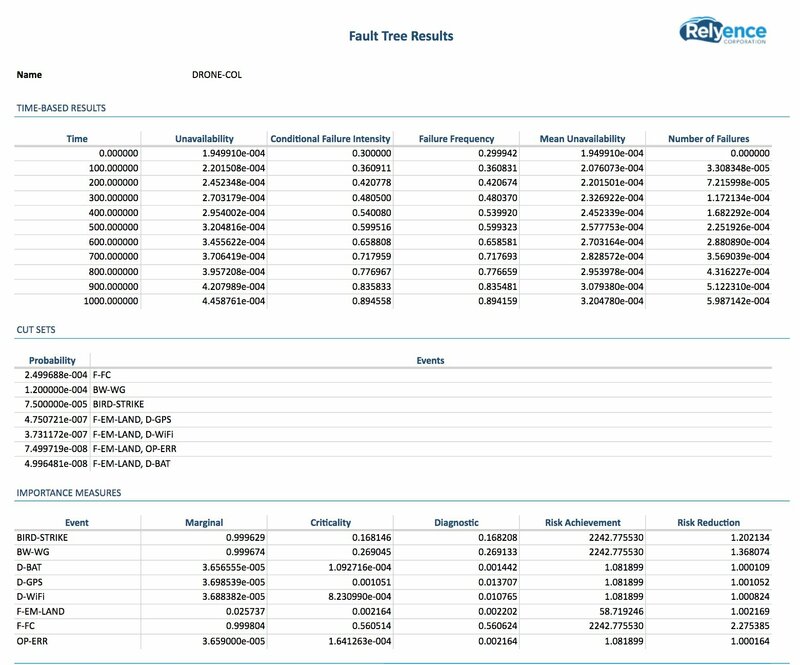 Relyence Fault Tree also supports an expansive set of input models including failure rate, failure rate with repair, asymptotic unavailability, constant probability, constant mission time, frequency with failure rate, lambda tau, latent repairable, and mean unavailability.